Google’s professional SEO ranking system has likely confused almost anyone who runs a website or blog. It can be extremely confusing to try to figure out what will make your post rank higher than the competition. With Google’s recent move toward AI machine learning through RankBrain, website owners only got more confused. Rankbrain aims to make the user experience better, but SEO specialists will have a more difficult time learning how to succeed within the parameters of the new algorithm. Search engine optimization refers to the practice of utilizing keywords, links, and content to rank higher on search engines. Millions of websites are competing for the same clicks and the pages that effectively use SEO will get a higher ranking. RankBrain seeks to drastically improve the results users get when they search specific questions or words. It can direct a user to the site they want with more obscure searches, as well as guess far better than human algorithms can. This AI and machine learning process will change the way internet marketing services do business. 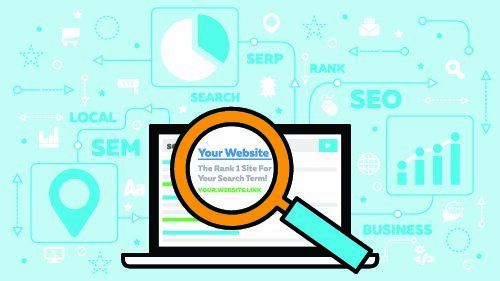 Before RankBrain, the prevalent SEO strategy was to use keywords that matched a user’s common search. If you used your keywords effectively (no stuffing and unnatural uses), your site would naturally achieve a higher ranking. Now, keywords are only a piece of the puzzle. RankBrain can direct users to websites that don’t necessarily include the exact phrase for which they searched. The AI behind it will make an educated guess on which webpage will be the most helpful, and send the user there. Keywords are still important, but they aren’t as important as they used to be. Before Google implemented RankBrain, you could manipulate the SEO system using keywords to show your page first, even if it wasn’t the most useful page to users. Now, Google prefers pages that are easier to view and more user-friendly. Keywords are still relevant, but you can’t sacrifice readability in the name of keyword stuffing. To rank higher on Google, you need to have a website that’s easy to read on both mobile and desktop, incorporates keywords naturally, and gives the reader the information they wanted in the first place. Many websites were doing this all along, and they’ll be rewarded for it. You can’t cheat the system anymore. Your outdated SEO tactics won’t work with the new algorithm. If you’ve dedicated your website to user experience, however, you should be in a great place going forward. Machine learning like RankBrain is the future of SEO. Google shouldn’t reward websites for stuffing keywords and sacrifice readability, and RankBrain seeks to solve some of these problems. It may take some getting used to, but professional SEO will be in a better place in the future. Want more SEO tips for your business? Take a look at our blog! We have SEO and marketing tips for all kinds of industries.